Fact-packed books to build first literacy. 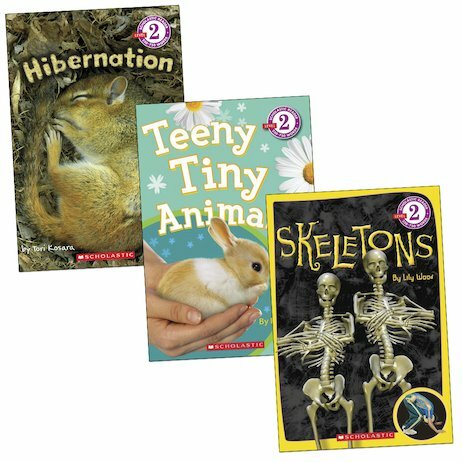 Get kids reading with entertaining non-fiction on subjects they adore! Full of inspiring facts and stunning photos, these books help children to build their reading skills as they learn about the natural world. Two books introduce animals and their habits, while a third explores the human skeleton, helping little readers to bone up on their bones! With word counts of no more than 750 words per book, these Level 2 books are aimed at developing readers who are ready to tackle new vocabulary and longer sentences.